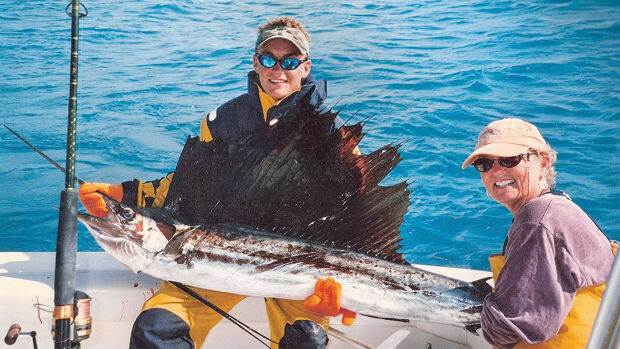 The list of sport fish is long, but the list of perfect sport fish is short. 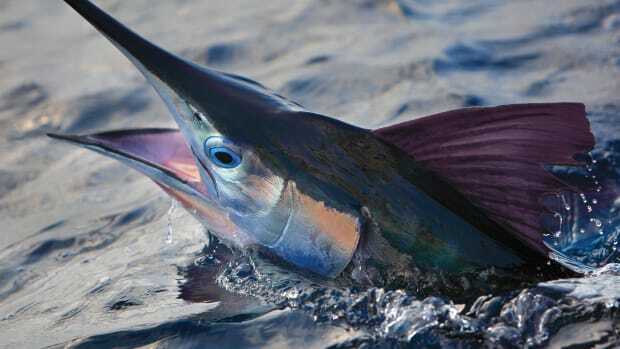 Sure, anglers obsess about everything from mud suckers to black marlin, but that doesn’t earn either species a spot on my list. To me, the perfect sport fish is large enough to offer serious pullage without causing a heart attack. The fish must test an angler’s technical and tactical abilities without frustrating every attempt at capture. 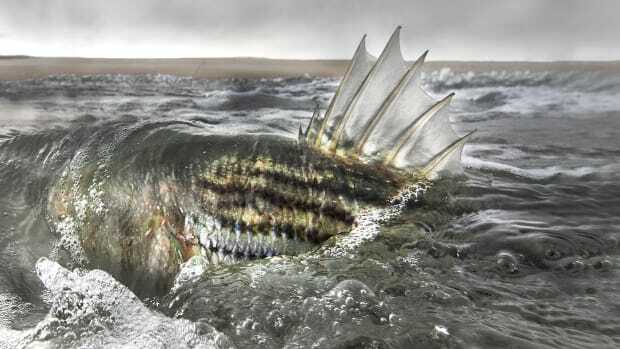 Most important, the ideal sport fish must be a handsome animal that lives in an area of unqualified beauty and power. In my book, that puts yellowfin tuna at the top of the list. 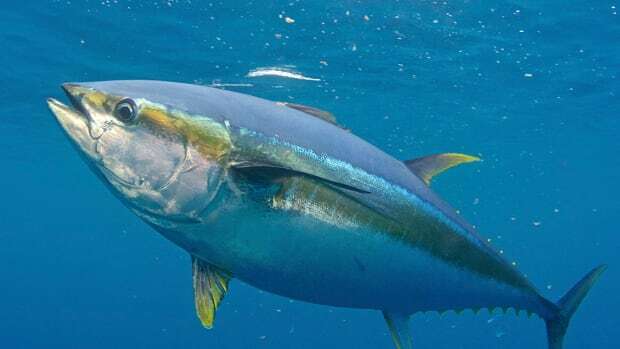 The International Game Fish Association’s fish database says yellowfin tuna are found worldwide in deep, warm water. 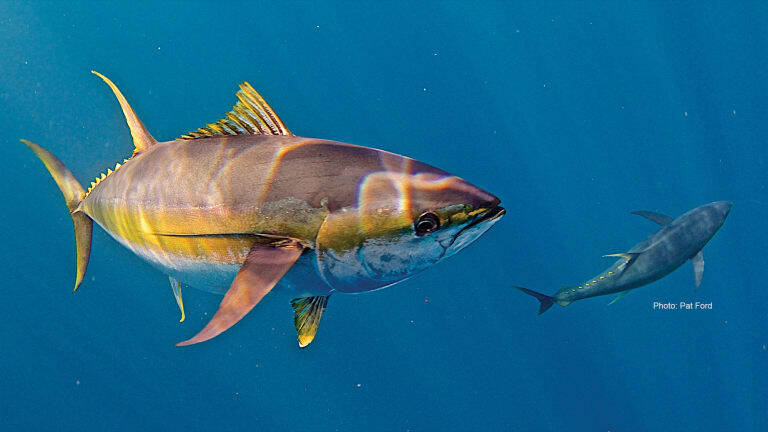 American anglers catch yellowfin in almost every water-edged state from New England to Hawaii. 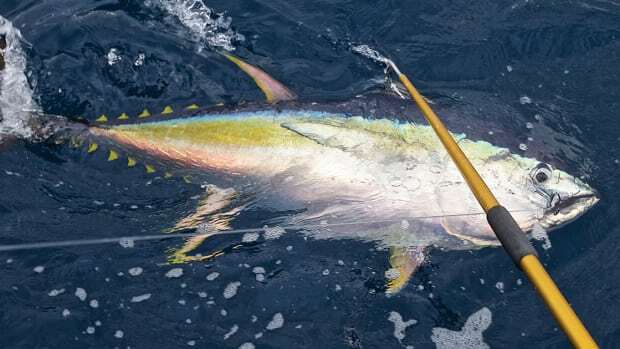 The IGFA also lists yellowfin as one of the most striking fish. A football of muscle and heart, yellowfin are actually deep gloss black, indigo purple, neon green, gold leaf and molten silver. They get their name from a line of small yellow finlets and long sickle fins that run down the top and bottom of the tail. In a beauty contest, my money’s on the yellowfin. I fish for yellowfin on the edge of the continental shelf, where the coastal plain drops thousands of feet into the Atlantic abyss. To the untrained eye, the open ocean might look like miles of water under miles of uninterrupted sky. Remove the water and you’d see pinnacles and precipices that would dwarf the Grand Canyon. As ocean currents collide, nutrients are pushed to the surface like a buffet on a conveyor belt. Yellowfin tuna rarely venture far from the table. The best place to watch the show is from the bridge of a 50-foot sportfish. On my last trip for yellowfin, I was fishing with Capt. Jason Snead on a classic Carolina beauty called Dream Girl. I held on as the boat lurched and rolled over 6-foot seas. Spray peeled off the bow, and flying fish scattered. 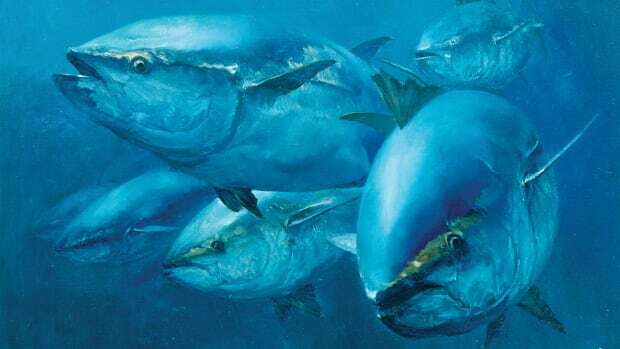 Looking into the face of a head-high breaker, I spotted a squadron of yellowfin surfing the curl. On the other side of the boat, small birds the size of sparrows danced on the water while shearwaters swooped in on long wings. A 10-foot shadow with a hammer-shaped head swam under the riggers, unimpressed. Ahead of the boat, tuna crashed and chased flying fish like puppies playing with a party balloon. I swear they were having fun. I could see them smiling. This is where life and death fight it out on a wide-open battlefield. With no place to hide, sea creatures have to swim for their lives. Or fly. 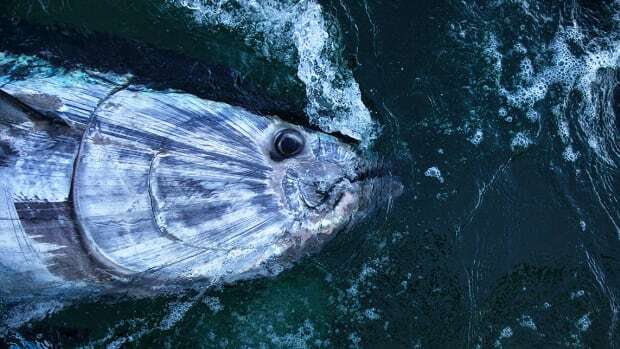 Flying fish, the yellowfin’s favorite meal, take to the air, sailing on extended pectoral fins for hundreds of yards to escape tuna. Not that flying deters the predators; tuna like their meals to go. Some days, the fish will only eat a lure dangling from a kite. Just because these alpha predators are voracious feeders doesn’t mean they are easy to catch. Yellowfin are notoriously sharp-sighted. Even when chasing a lure at 6 knots, the fish will short-strike or miss completely if the color, style and rigging aren’t right. On my last trip we started the day trolling ballyhoo, then turned to throwing topwater plugs at breaking fish and ended the day dangling rubber flying fish from a kite. 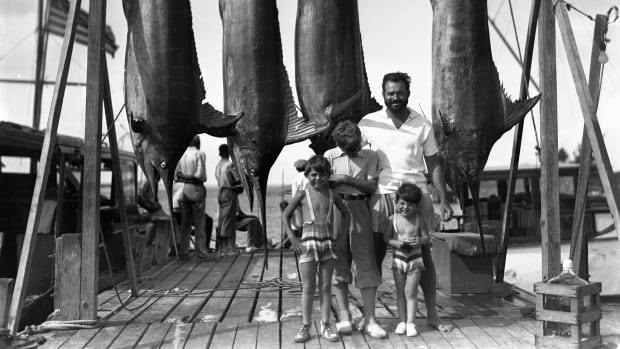 The tuna dictated each stage of the game. No matter how long you’ve chased yellowfin, they constantly force you to innovate and invent. Tuna anglers will share tactics and locations, but each sharpie has his secrets to success. Every boat I’ve fished on has its own twist on the classic themes, and every skipper swears he’s doing something that gives him the edge. These fish gather a cult-like following. The day after someone posts a yellowfin photo on Facebook, the launch ramp will be chaos, the charter fleet booked out and the ballyhoo gone from the shelf. And yet, with all of the attention these fish get, their numbers remain strong. 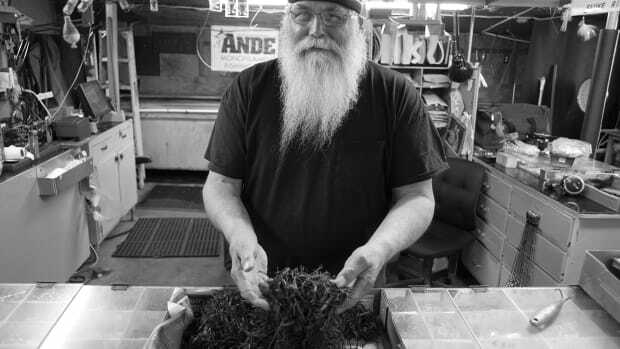 Mid-Atlantic anglers have a shot at them almost year-round, and some of the best action is during the off-season, making these fish important to local economies. Did I say economy? How much did you pay for that last plate of ahi? Connoisseurs will jump off a cliff for a taste of the light, sweet meat. Seasoned and seared, it eats like a Kobe steak. Sliced thin and served raw, yellowfin melts on the tongue. Without a doubt, it’s the yellowfin’s attitude that puts it ahead of almost any other sport fish. Hook a 70-pounder on 50-pound stand-up gear, and you’ll meet your equal. After the fish is done slamming your knees into the covering boards, it will burn your shoulders and arms. Tangle with a yellowfin on jigging or casting gear, and you’ll end up with a numb forearm and bruises in sensitive places. On my last yellowfin trip we started the day trolling through a stormy chop. With 10 rods dragging Sea Witch skirts and ballyhoo, Dream Girl sloshed into the gray waves. Riding on the bridge and looking into the spread, I saw a yellow flash on the starboard short rigger a second before the clip popped. With that rod giving up line, I grabbed the line on the nearest reel and started yanking madly to make the lure pop across the water. On the second pop, a yellow bomber crashed out of a wave and took the lure right out of my hands. In seconds, all 10 rods were bent over, and six anglers were busy with tuna. Of all the fishing experiences I’ve had, nothing beats a tuna whammy for raw power and adrenaline-pumping excitement.